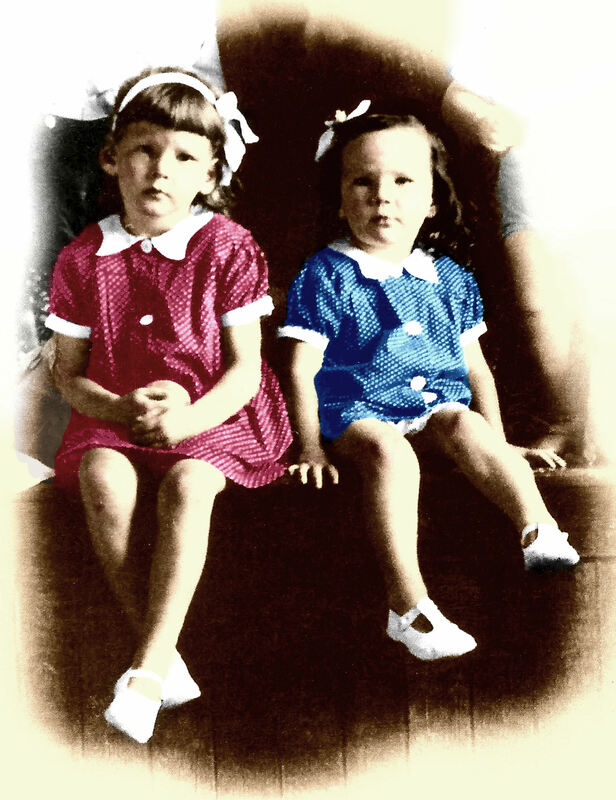 One of my earliest colourised photos was of my mother and her younger sister from around 1939. I had thought the picture was as taken, just of those two, but I’ve recently found that it was an enlargement of part of a group photo. I was fortunate enough to be sent a good quality scan of the larger photo, and the result is what you can see above. 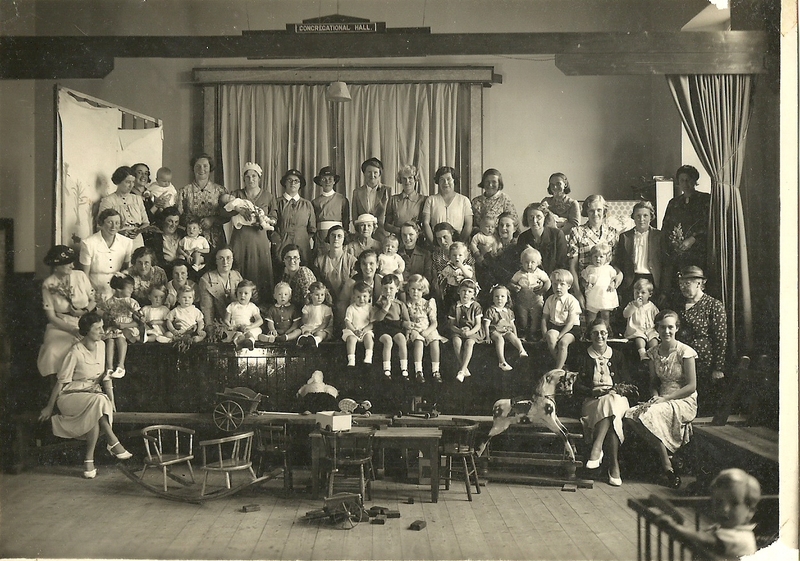 The photo was taken at the Methodist Hall in Looe, Cornwall, and is of the “Young Wives Club”. Along with mothers and children, there seem to be some nurses in attendance. 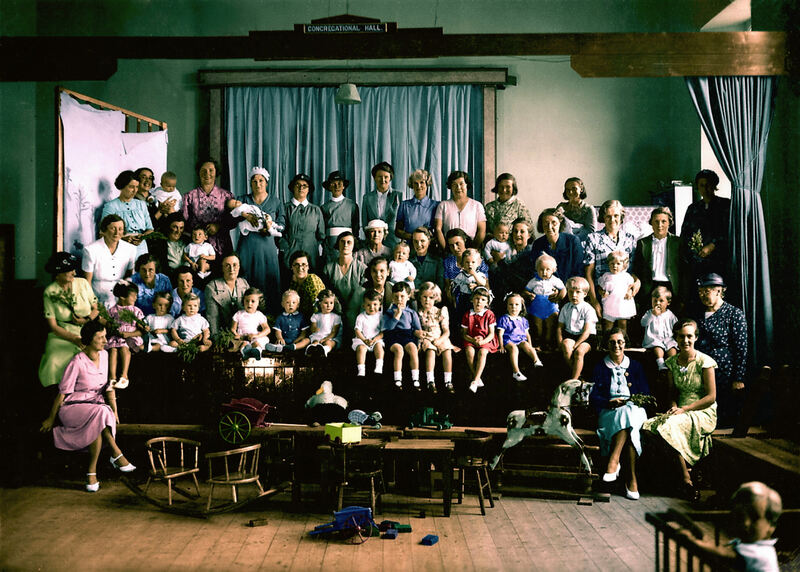 The enlargement that I had thought was the original, colourised about six years ago.